Thailand is one of the world’s best all year round golf locations. The main contributory factors are an excellent climate, the superb Thailand golf courses, the charming caddies and the high standard of hotels. In addition add all the non-golfing activities that golfers look upon as an integral part of their golf holiday. Thai food, the vibrant nightlife, the spectacular scenery, the golden beaches, who could ask for more. The favorite golf holiday destinations in Thailand are Bangkok, Chiang Mai, Hua Hin, Pattaya and Phuket. 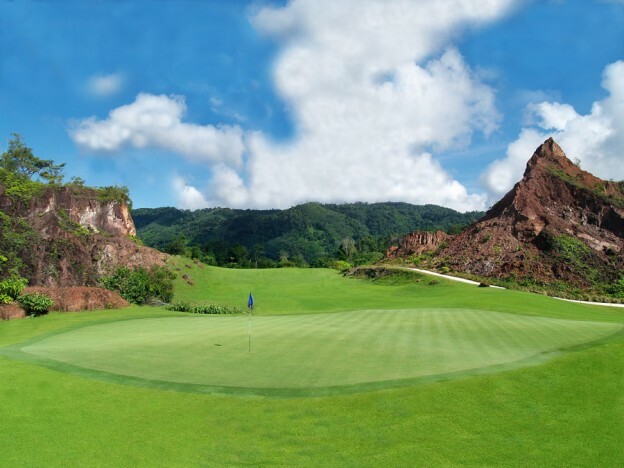 Golf Tours Thailand’s All Inclusive Golf Vacation Packages offer a selection of the best golf courses, carefully selected hotels and VIP transportation. In addition we will be able to tailor a Custom Made Golf Package Tour according to your specific requirements. Furthermore your tour host will be able to advise you on any non-golfing activities, such as venues to dine and the local entertainment. Book your Thailand Golf Package here. If you have arranged your own accommodation please contact us for discount golf tee time reservation and transfers. Book your Thailand Golf & Transfer Package here or contact us directly. Golf Tours Thailand can arrange customized Golf Instruction Packages. Improve your golf game together with a PGA teaching professional and by using the state-of-the-art simulators and software. Simply contact us with your specific Golf Instruction Package requirements.